In my personal process of emotional healing, I faced many barriers, both emotionally and physically. It can be very hard to get emotionally healthy. The first step is admitting that you are unhappy, but that can be difficult to admit and accept. Personally, my initial resistance to getting emotionally healthy was denial. If I denied how I felt and kept unpleasant feelings at bay, I would be fine. This strategy worked until it didn’t. When feeling emotional feels like a loss of control, being in denial can act as a way to maintain control over yourself and your unknown emotions. Being honest is an important step, but you may face some emotional obstacles with coming to that reality. I faced a few obstacles when I was coming out of denial. If I admitted that I couldn’t manage how I felt, the game is up. I’d have to give up my denial strategy. I didn’t want to burn that bridge. I was scared of what would happen if I got honest and admitted how I felt. I already knew that I didn’t know what to do. I didn’t like feeling at a loss. I’d have to get help. It takes a lot of trust to admit to others that you have a problem. To me, it felt like I would have to give someone power over me in order to accept that I needed their help. I didn’t want to do that. That activated a trust-issue that I have. How can I trust that person? How do I know they know what they’re doing? I didn’t even necessarily believe emotional change is possible. I hadn’t witnessed anyone I knew successfully go through it. Plus I didn’t even really know how I felt. I just knew it didn’t feel good and I didn’t like it. With as many obstacles as I had to get over, one mattered the most: honesty with myself. I didn’t feel good emotionally and that needed to change. I was unhappy and I needed to own it if I ever wanted to be happy. Denial, and shame, were holding me back from getting emotionally well and being the person I am supposed to be. I didn’t know it then, but toxic shame laid at the root of my unhappiness. It was time to make a change, and that was admitting how I felt, and reaching out to get help. I knocked down the first domino, denial, and began my journey towards happiness. 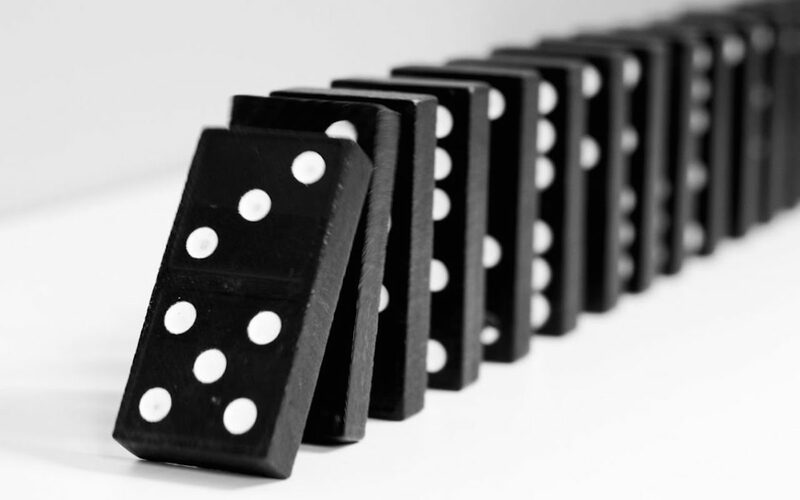 If you want to knock over the first domino and step toward happiness, let’s talk. Let’s see if shame is interfering with your happiness. Book your free call now. It will be one of the best hours you spend exploring what maybe blocking you from feeling happy.